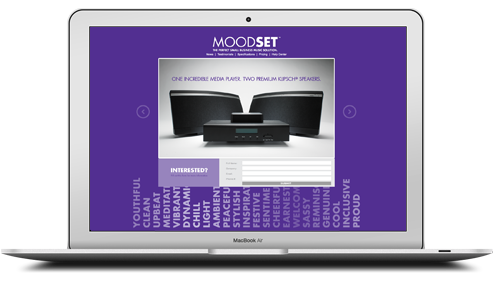 Moodset is a subscription-based small business music solution that consists of a media player and 2 premium Klipsch wireless speakers. 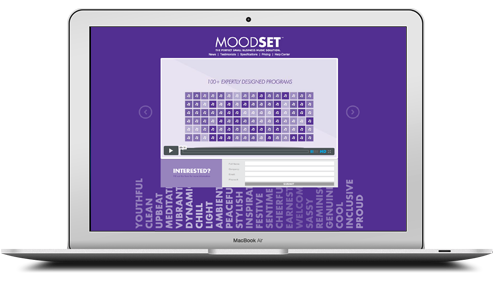 Along with the set being easy to set up, purchasing it also gives small businesses access to 100+ expertly designed music programs. 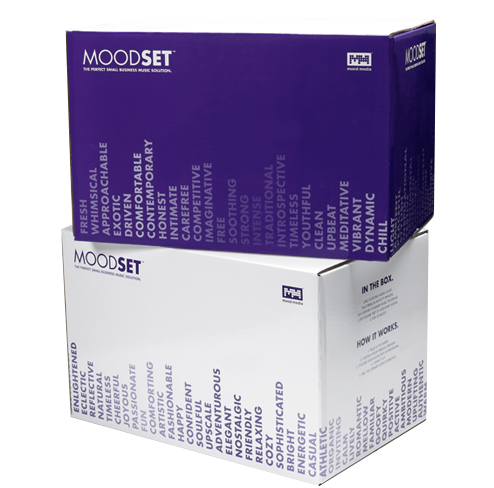 With these programs, owners are given the power to influence the mood of their business environment. The keywords used during the building of the music programs are used as a design element. When flipped on their side, they create an equalizer look and feel while emphasizing the types of mood.